Many fast food restaurants are offering deals in honor of National Fast Food Day. One person who is “lovin’ it” as a McDonald’s franchisee is Roland Parrish. Since opening his first McDonald’s quick-service restaurant in 1989, he now owns 29 McDonald’s restaurants in the Greater Dallas area. As CEO of Parrish Restaurants Ltd. (No. 54 on the BE 100s Industrial/Service Companies list with over $59.7 million in revenues in 2015), he still practices the same blue-collar ethic he had that first day on the job by working some 70 hours per week to personally run the business. He’s also a stickler for providing a “great customer experience.” For instance, he makes sure employees are well-groomed and proficient order takers, everything from the latte machine to air conditioning is working properly, and the restrooms are cleaned. The road to success for Parrish, 62, has not been a cakewalk. His first and only application to become a franchisee was rejected in 1987. But his desire to win would not let him quit. Parrish made inroads by attending a two-year McDonald’s training program. He worked 25 hours per week with no pay to learn the nation’s largest fast-food restaurant chain’s system. He used $180,000 in savings he had accumulated during his 13 years working at ExxonMobil to buy his first McDonald’s franchise. He also lived on those same funds for about six months before taking any money from the net revenues of the business. “The value of saving is critical,â€ says Parrish. He has steadily added stores by using working capital, business equity, and bank loans to finance those units. Startup costs, including construction and equipment expenses, average between $955,708 and $2.3 million, according to McDonald’s. That’s in addition to a $45,000 initial franchise fee. 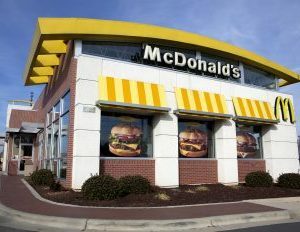 The average McDonald’s restaurant generates $2.5 million in sales annually, according to QSR magazine. Parrish was elected to a third-year term as the 2015—16 CEO/Chair of the National Black McDonald’s Operators Association, a group representing 1,400 restaurants and $3.6 billion in sales. It provides about $750,000 in scholarships a year “to people who look like us,â€ he adds. Here, the McDonald’s owner/operator shares his insight on becoming a franchisee. What information should potential buyers request from a franchisor? The franchisor should explain what the company’s performance financially and operationally has been over time and what the growth plan is. Ask for the Financial Disclosure Document (extensive information on 23 items including fees, obligations, and restrictions). Find out about any lawsuits the franchisor has had or may be facing. Several lawsuits raise a red flag. How many existing franchisees should one talk to about a franchise? A minimum of two; Â preferably people who you don’t know. Talk to a local franchisee and one outside of your geographical area. Ask what their relationship with the franchisor is and some of the pitfalls they faced. Even after you get in, keep developing relationships with franchisees to learn the pros and cons of operating a franchise for continued growth. What advice would you give a potential owner about sustainability? Most individuals who look like me are not born with the financial foundation to buy a McDonald’s franchise, which can run about $500,000 to start up. You must save money and have a good credit report. My company has monthly expenses of about $4 million, so you need the right habits to not overspend and know how to budget money coming in. You need to think long term and build a cash reserve that can be used for future expansion, remodeling, retirement, and other expenses. 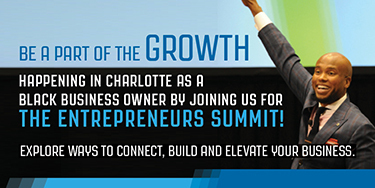 What has been your biggest lesson learned as a business owner? You need that inner fire to achieve and be competitive. At the same time, you have to stay humble to treat employees well and serve customers. My five-year vision is now focused on quality and not quantity. I want to have all of my locations remodeled or rebuilt, with each one having strong leaders inside running great, profitable restaurants with outstanding operations.